Small, light and fast, the Leica was the cellphone camera of its day. When it launched in the 1920s, professional photographers took to the streets with it and captured quick, spontaneous images that hadn’t been possible with their lumbering view cameras. Perhaps no group used the camera better in its early days than the New York Photo League, a ragtag band of urban photographers who were equally passionate about politics and aesthetics. 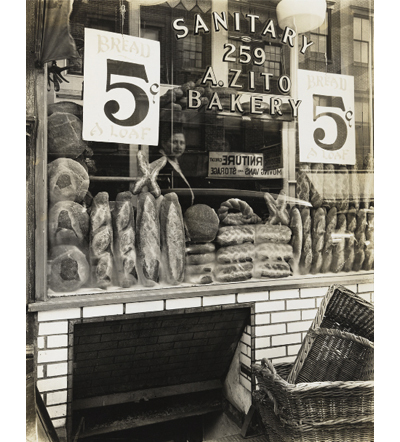 In the 1930s and 40s, their documentation would provide a vibrant record of everyday life in New York City. The Radical Camera: The New York Photo League 1936-1951, now at the Jewish Museum, pays tribute to the ninety-some photographers involved in this short-lived, feisty little organization. Notably, most Photo League members came from modest backgrounds (a lot were first-generation American Jews). Their aim was to throw light on their own poor neighborhoods and others, and by doing so, to effect social change. Not for them the beautiful, static landscapes being captured by Ansel Adams in the same years; instead, they turned their lenses on the teeming streets of the Lower East Side and Harlem, where children played in abandoned buildings and garbage littered the streets. After being rejected from a creative writing class his freshman year, Los Angeles-based photographer Dan Monick was exposed to the art of the camera by Carrie Mae Weems, a prominent African-American photographer whose work has been acknowledged by such New York giants as the Whitney and the Museum of Modern Art. Since then Monick has documented “virtually everything,” as he himself proclaims, influenced by the work of Robert Frank, Nan Goldin and William Eggleston. He is fascinated with the banal, kitsch, and tacky, and the complex stories each object and subject tells about identity and community contingent to location. Monick’s sensibility captures the ephemeral beauty of these anomalies and ironic happenstances, to convey nostalgia in a unique style—one that is anarchic, often humorous, and arresting, highlighting the beauty of such banality in contemporary society. From my regular column in AnOther magazine. David Strettell is the founder and owner of Dashwood Books, a tiny but enormously influential photography bookstore located on Bond Street in the Bowery section of Manhattan. Since opening in 2005, Dashwood has become New York City’s insider resource and social nexus for the latest in contemporary international photography. With an impressive run of book releases, signings, and talks by some of the top names in photography today, as well as pursuing its own publishing projects and being known for stocking unique titles, rare collectors’ editions, and short-run monographs of self-published work, Dashwood has come to present a broad but distinct range of today’s photographic work through the curatorial passion of one man. Previously, Strettell had assisted Mario Testino and then worked for the legendary Magnum Photo cooperative for 12 years. After leaving Magnum, Strettell says he took six months off to decide what was next for him, and chose to open Dashwood. Recently, I met with David at his East Village flat for tea, conversation, and to take a few pictures of the man behind the books. Photographer Diane Arbus once said that a photograph is “a secret about a secret. 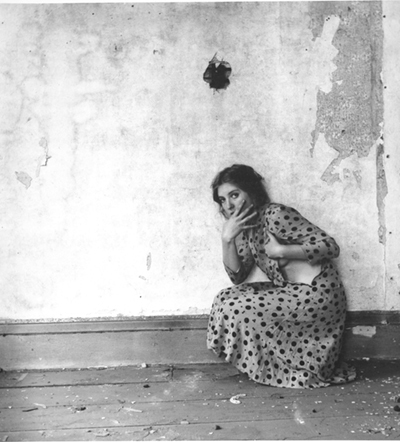 The more it tells you, the less you know.” Those words resonate powerfully in the work of Francesca Woodman, whose photographs from the 1970s and 80s are simultaneously mysterious, frank, playful, surreal, delicate and raw. The daughter of two successful and accomplished artists, Woodman reached artistic maturity at an extremely young age. At thirteen, she was already making striking self-portraits; by the time she was seventeen, she was shooting haunting, intense images that were uniquely hers. Abandoned houses were her favorite place to work, but she also shot in forests and on beaches, where she placed female figures (often herself) communing with the environment in original, provocative ways. Sometimes, a surreal element creeps in: masks and mirrors hide faces, bodies are obscured by birch bark and peeling wallpaper. 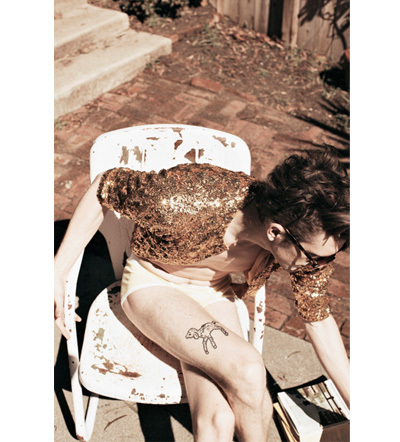 Woodman’s frank sexuality and daring enhances her perfectly-balanced compositions. Each image becomes its own little mystery. Unfortunately, Woodman’s early work turned out to be her only work. In 1981, aged twenty-two and suffering from depression, she jumped to her death from a window in Greenwich Village. Like Diane Arbus, who also committed suicide, Woodman has become something of a mythic figure: the tortured girl genius whose talent couldn’t save her. 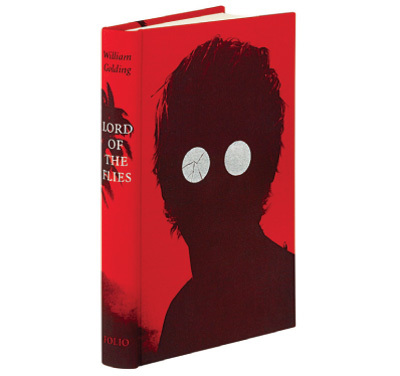 Lord of the Flies cover and illustrations by Sam Weber. “Maybe there is a beast…maybe it’s only us.” First published in 1954, William Golding’s Lord of the Flies became an instant classic for its unrelenting, often horrifying portrayal of human nature, primitive instinct, and the disintegration of civilization. This winter, The Folio Society breathes fresh life into the polemical novel with a cloth-bound illustrated edition that both art fans and bibliophiles will appreciate. The project was truly a dream job for Alaskan-born illustrator Sam Weber whose visceral imagery lends the fable a contemporary level of pathos not yet explored in previous illustrated editions. At once understated and formidable, each painting is a reminder of how fragile the infrastructure of society can be in the midst of true evil. Sam Weber was kind enough to offer PLANET a few moments of his time for this exclusive interview. In the 1980s, photographer Nan Goldin rose to prominence with The Ballad of Sexual Dependency, an ambitious body of work that depicted the underbelly of New York’s East Village and Lower East Side. Shot with minimal equipment in low-light conditions, featuring depictions of drug use, sexual liaisons, and domestic violence, Ballad ushered in a style known as the “snapshot aesthetic” and influenced a whole generation of younger artists. In an era of Facebook and Snapfish, it’s easy to overlook Goldin’s significance — but in its time, Ballad was as bold and original as artistic statements get. As talented as she is, Goldin would have been nothing without the extensive network of friends and fellow artists who served as her subjects. One of her friends was Bette Gordon, an up-and-coming filmmaker who, in 1983, asked Goldin to document the making of her film Variety. Gordon and Goldin were both members of No Wave, a loose coalition of avant-garde filmmakers and musicians on the Lower East Side. Intensely collaborative, the No Wave artists shared ideas and equipment, played music and acted and lived together in the neighborhood’s famous cold-water walk-ups. Simon-Pierre Toussaint took not one but two prizes at the Hyères International Fashion and Photography Festival this past spring for his menswear collection, “The trees can hear you if you talk to them”. Boy scouts and the male adolescent experience are points of reference for his work, an imaginative spin on practical outdoor wear. It was the twenty-fourth year for the festival at Hyères, which is held at the early modernist villa Noailles in the south of France and focuses on emerging fashion designers and photographers. This year’s fashion jury included artist Nan Goldin and Jefferson Hack, founder of Dazed and Confused, among others. 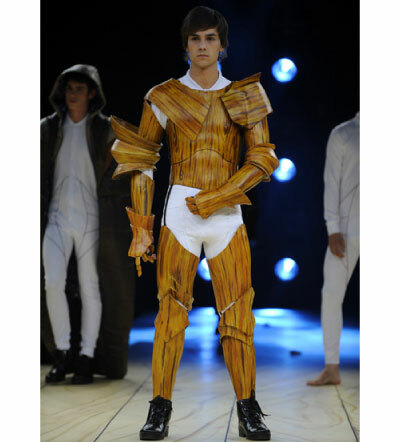 Toussaint, who graduated from the Royal Academy of Fine Arts in Antwerp last year, says that the boy scouts and simple childhood pastimes like playing with wooden knights are what inspired his collection. Like boyhood camping and acting out Medieval battles, his designs are playful but not whimsical. They are inventive, dreamy solutions for surviving outdoors. Take for example his ankle-length parka, pieced together from sleeping bags and lined with nighttime constellations; this huge cape parka is shown over white long johns that look old-school backwoods, except for the stark geometric designs that wrap suggestively around the hips. Throughout history there are distinct turning points, an indelible before and after, like the discovery of electricity or onset of the Internet age. Back in 1959, one of those moments occurred when Robert Frank’s seminal tome, The Americans, forever changed the landscape of modern photography. As mentioned in a previous PLANET post, that same collection of photos is currently criss-crossing the country in celebration of its 50th anniversary, so it’s only fitting that a discussion about Frank’s relevancy continues. 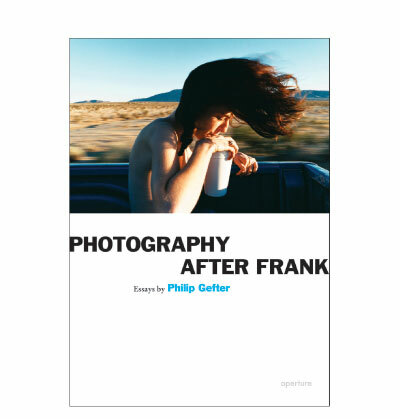 Philip Gefter’s new book Photography After Frank does just that. 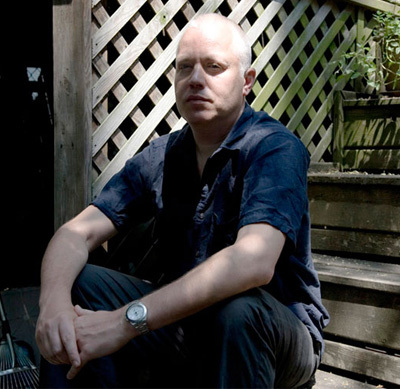 In over three dozen essays, the New York Times writer and former picture editor offers his readers brief meditations on contemporary photography, using Frank’s gritty, highly subjective documentary style as his starting point. In accessible prose, Gefter’s short essays manage to trace Frank’s influence from the likes of Lee Friedlander and Nan Goldin to Stephen Shore and Ryan McGinley. All along the way, he offers readers brief snippets — many of the pieces have been taken from the Times or Aperture magazine, so they’re no more than four pages — on individual photographers and subjects like photo-realism or the market’s effect on art-making.